If you enjoy a smooth flavored coffee during the summer heat, the cold brew coffee maker can help you out. The chocolate flavor of the coffee offers you a mind-blowing taste and versatility. You can enjoy cocktails, mocktails or use it in baking. What makes this coffee stand out is the “low acid” and how easy it is to make coffee. 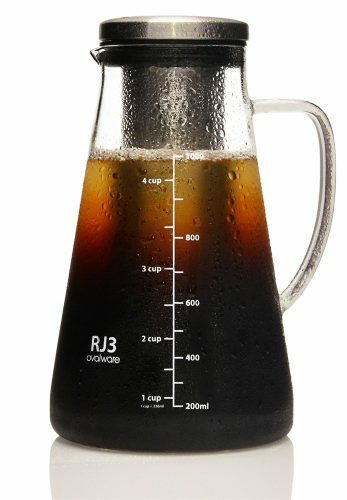 With one of the top 10 cold brew coffee makers available in 2019 you can have a batch brewed in no time. All you need is the coffee maker, cold water, coarse-ground coffee and the magic of the machine to make it happen. With summer, making its way buying a cold infused iced coffee maker will be the best investment you can make. The Simple Life Cycle Mason jar brew system adapts to fit into most canning jars you have at home. You can use it with a quart or half-gallon sized one. This means you can brew up a coffee storm, depending on how much Mason jars you have at home. The lid has an eco-friendly bamboo structure and the metal mesh filters reusable and easy to clean. You must remember you can keep the magical brew in a refrigerator for two-weeks. Make sure to keep the cold coffee brew in an airtight container. If you want to enjoy an iced cold coffee on the go, the Takeya stands out for its portable design. The coffee maker brews 1-quart and can make four servings. The lid is leak-proof and airtight so you do not have to worry about spillage. The containers made of plastic that is BPA-free and dishwasher safe. You can brew your favorite coffee overnight or leave it in the fridge for 36-hours for the grounds to steep. The handle has a non-slip silicone construction and has a fine mesh filter. This no-frills model from Hario Mizudashi will help you brew your favorite coffee in no time. The reusable mesh basket might be difficult to clean, but still beats paper filters. You only need up to 24-hours to steep a perfect coffee. The best is the coffee brewers affordable and makes a 34-ounce glass of coffee. 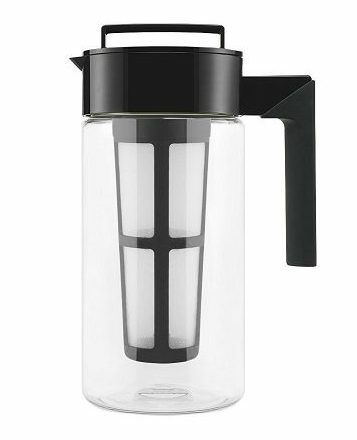 With the EP Cold Brew Carafe System, you can serve up your favorite iced coffee. 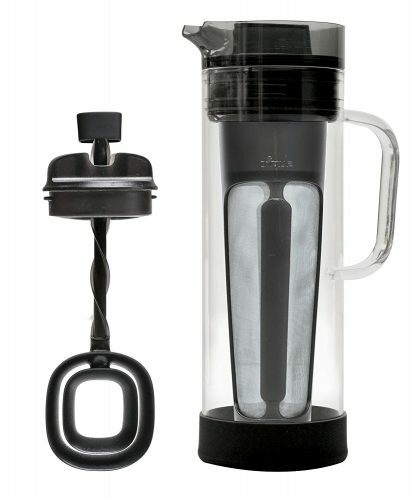 At the bottom of the carafe, it has non-slip rubber feet and fits into most fridge doors. The coffee maker has a borosilicate construction with gray accents. Around the base is a silicone ring and it can withstand extreme temperatures? 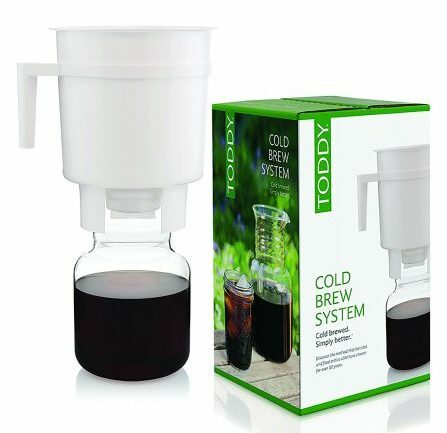 Nothing beats the Toddy T2N cold brew coffee maker. 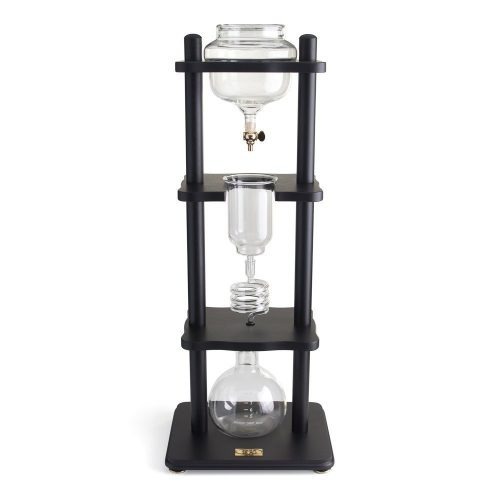 This model started the cold brewing coffee technique in the market. While brewing cold coffees done for ages, this system simplified the process. The entire brewing system made from plastic and has a reusable filter. The decanters durable and has a pretty design. The great thing is you can use the Toddy to infuse tea hot or cold. You receive two reusable filters, the decanter, recipe guide, and a rubber stopper. 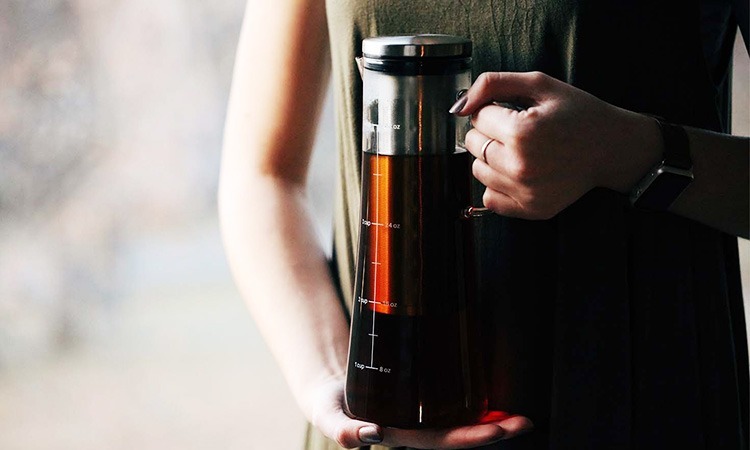 The Ovalware is not only a cold brew coffee maker but also a tea infuser. With the 34 oz capacity, you can store your deliciously brewed coffee or tea in the refrigerator. 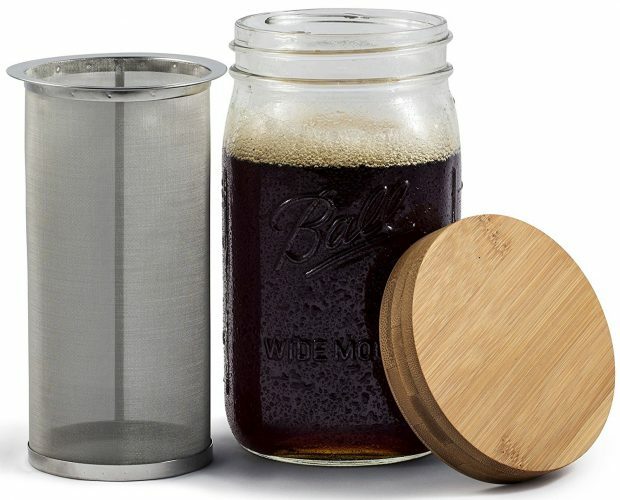 The flask has a glass construction and the filters made of stainless steel. You can serve up to four cups of coffee/tea and the airtight seal prevents spillage. The filter and decanter you place in the dishwasher for ease of cleaning. With the Filtron, you can prepare cold or hot drinks with the 35 oz decanter. The flask has a durable plastic structure with rubber stoppers. The filter used is different compared to the other models talked about here and is wool. 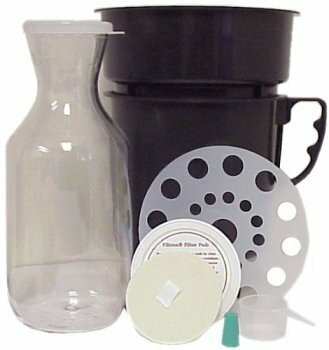 Included you receive a filter pad, coffee bowl, water bowl, rubber stopper, measuring cup, decanter, ground guard, and two sample paper filters. If you want to brew a bitter and acid-free coffee, the DRIPO is a Barista coffee maker offering an authentic slow drip coffee process. The appliance is easy to set up and cleans in a jiffy. You can use it to make the best coffee cold brewed coffee in 2.5-hours. You can make up to 10 oz coffee and the device is BPA-free. The system releases 45 drops per minute this might be slow but is worth waiting for. You receive a built-in mug with a spill-proof and airtight lid. 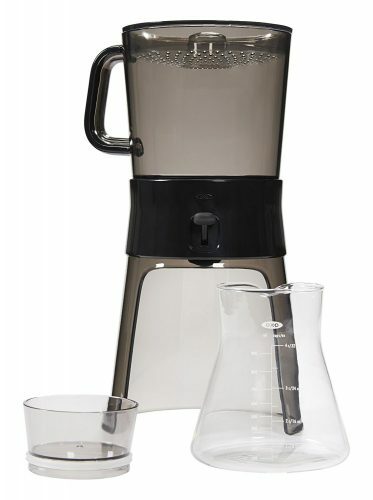 If you want to brew a fine concentrate of your favorite coffee, choose the OXO model. You can use it to brew coffee or infuse tea the use is endless. 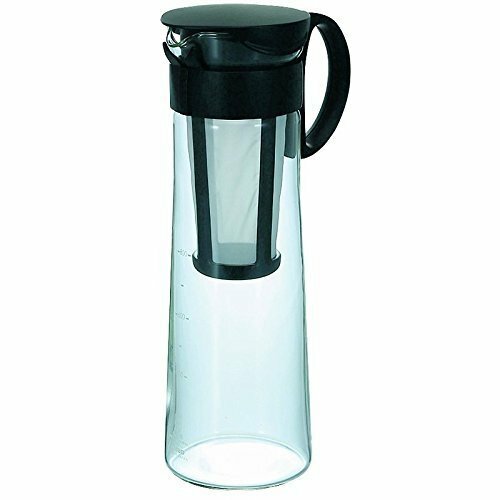 The carafe is made of glass and has a sealed silicone top making it functional to use on the go. You receive paper filters and it has a built-in metal mesh. To measure the perfect amount of water you also get a measuring cup. This coffee brewer has a 32-ounce capacity. The Yama does not only look appealing but brews up a chocolaty smooth coffee. The brewing process takes up to three hours to drip slowly through. The filters ceramic and the entire appliance have a delicate structure. The majority of users found it difficult to clean, but remains a fine piece of equipment. Compared to our previous models this one is the best cold brew coffee maker available at a hefty price. You can brew up to eight cups of coffee with this device. If you love, a cold-brewed coffee there is no better way than using one of the top 10 best cold brew coffee makers here. You can get a smooth and chocolate flavored crema and taste. We hope that you find your coffee and tea maker here. Some are affordable whiles other can be a bit on the expensive side. No matter which one you choose they are versatile to use.